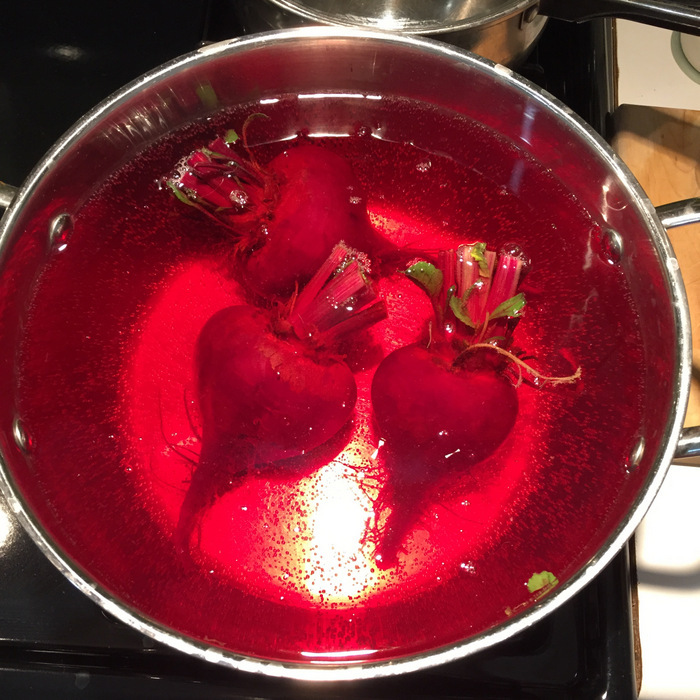 I’m having so much fun experimenting with beets. A few weeks ago I made some Beet Salsa and last week I shared a Beet Green Sauté. 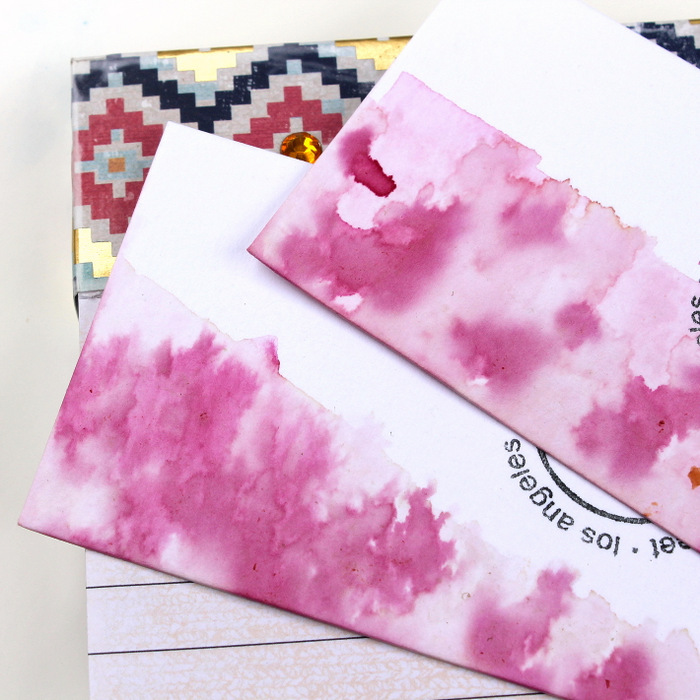 Today, I’m sharing Natural Beet Dye and the best part is, all three projects came from one bunch of beets. For the Beet Salsa, I used the beets and for the Beet Sauté I used the stems and greens. 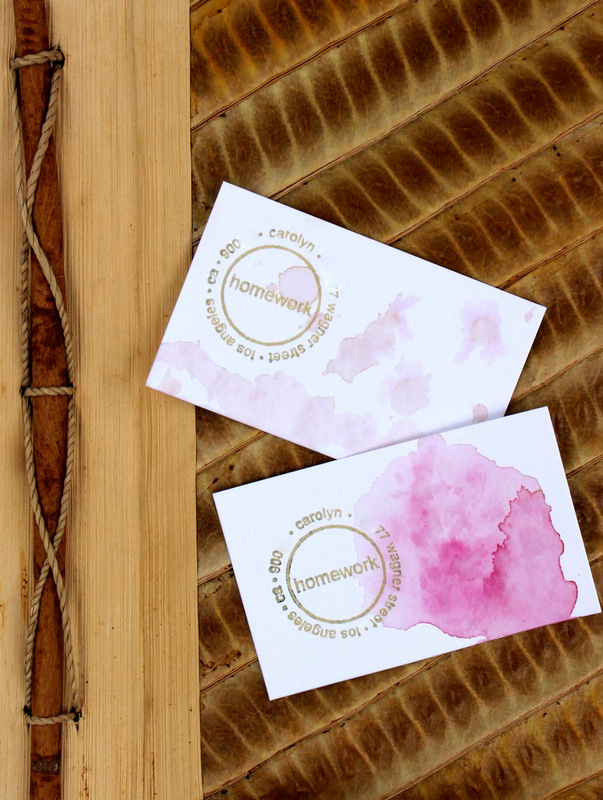 And so that nothing went to waste, I used the beet water and some of the leftover boiled beets to dye these cards. I used several different methods and let me tell you, it was fascinating and fun. 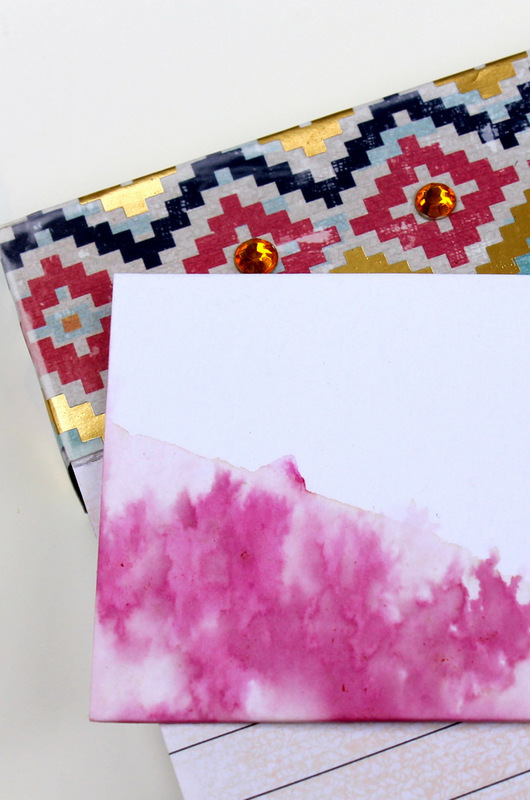 For this card I dipped the paper into the beet water and let the water absorb into the paper. To achieve a darker stain, I place a piece of beet onto the paper and left it there for a while. 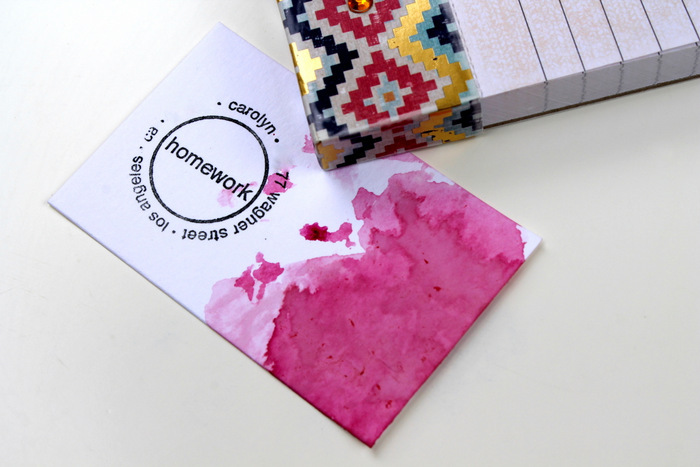 You can dribble the beet water onto the paper for a lighter effect. Of course each card is unique and you never know how it’s going to turn out. If beet red isn’t your color, you can try this with onion skins, turmeric, blueberries and more. 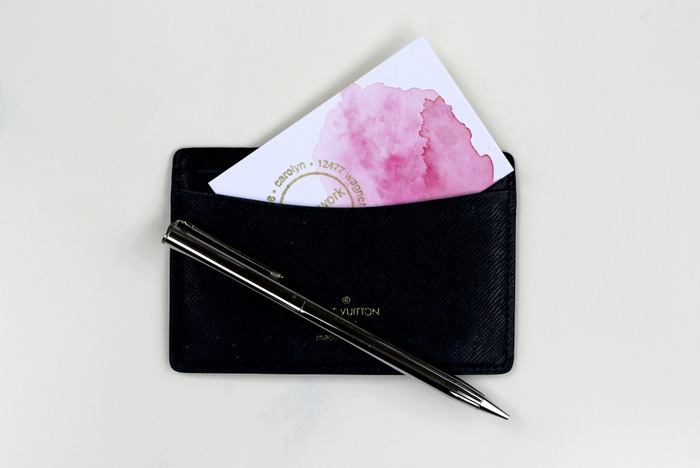 Once your cards are dry, you can use a stamper (if you have one) to imprint your information. I definitely want to try out some other natural dyes. 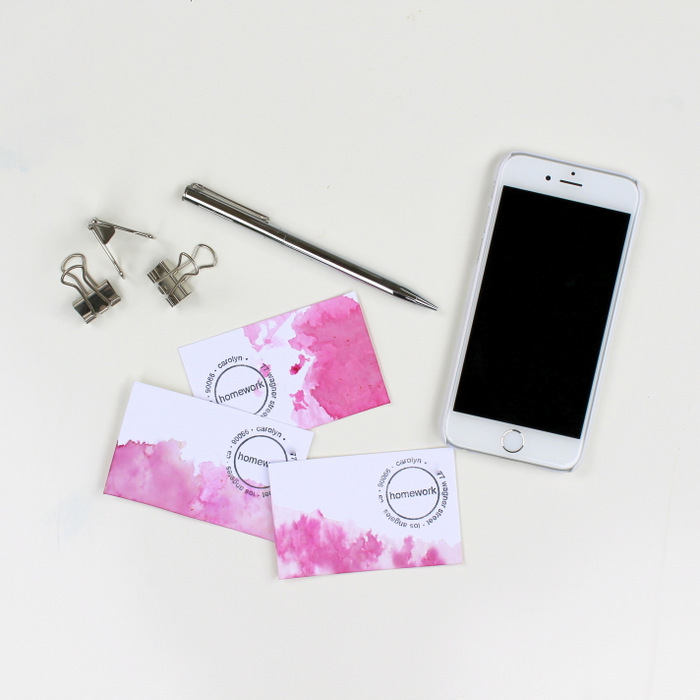 Wouldn’t it be fun to have a variety of colored business cards?